In the middle of his sophomore year, a young man named Percy Washington becomes John T Unger’s boarding school dorm mate. He rarely speaks, and when he does, it is only to Unger. Percy invites Unger to his home for the summer.During the train ride Percy boasts that his father is “by far the richest man in the world” and, when challenged, boasts his father “has a diamond bigger than the Ritz-Carlton Hotel.” It soon turns out they are in the “only five square miles of land in the country that’s never been surveyed,” … and Percy’s boasts turn out to be true. 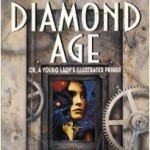 The Diamond Age is a fascinating tale that melds a tender coming-of-age story to a future in which nanotechnology has altered virtually every aspect of society. 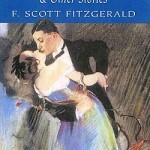 The story centres on Nell, a young girl of the low “Thete” class, who lives with her single mother and protective older brother in the “Leased Territories” slums.By a twist of fate, delivers Nell an interactive book called the Young Lady’s Illustrated Primer intended for the daughter of a wealthy aristocrat. The book teaches its owner necessary skills to become a productive and full member of “Neo-Victiorian” society. It uses lessons and stories to help guide the reader on their journey to adulthood. What a novel book 3 of the Erast Fandorin series is! Opening in 1905 Russia, the loss of a battleship and its entire crew prompts him to volunteer his services as a Japan specialist. But the powers that be have different plans.Taken on as a “hired gun” by the Railway Gendarmarie and Police, Fandorin is to develop a security system.Not everyone appreciates his work, it seems and train attack puts Fandorin on the trail of a deadly group of revolutionaries. They will resort to anything, including the death of innocent people, to sabotage any hopes of a Russian victory. Just when you thought it was safe to go back into interstellar space … experience the breathtaking vision of ‘The most exciting space opera writer working today’ (Locus). 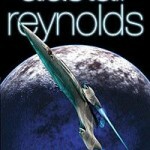 These two tales of high adventure are set in the same universe as his Arthur C Clark Award-listed novels.The title story, ‘Diamond Dogs’, tells of a group of mercenaries trying to unravel the mystery of a particularly inhospitable alien tower on a distant world; ‘Turquoise Days’ is about Naqi, who has devoted her life to studying the alien Pattern Jugglers. One look at an old hat, and Sherlock Holmes can tell you a lot about its owner. He sees (and thinks) a lot more than the people around him, and when a beautiful blue diamond disappears, Sherlock is the only man in London who can find it.